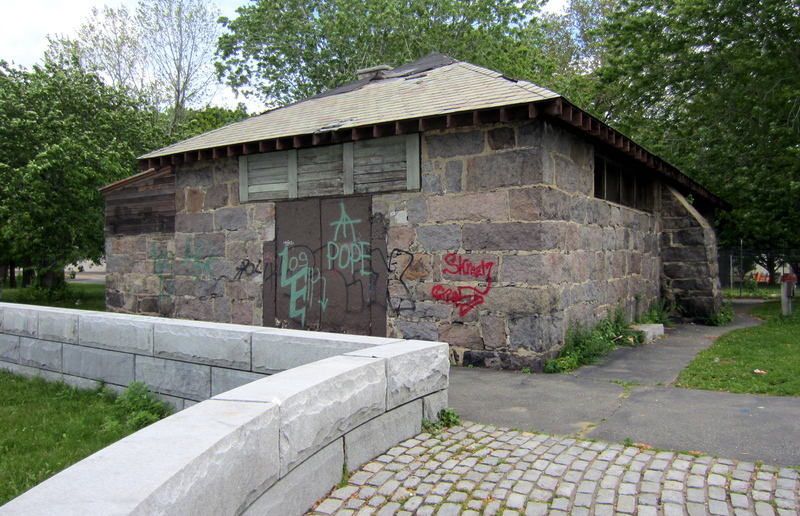 DCR Awarded the Cambridgeport Neighborhood Association with $50k for the powder magazine at Magazine Beach and the City of Cambridge $30k for new benches along the Charles River. 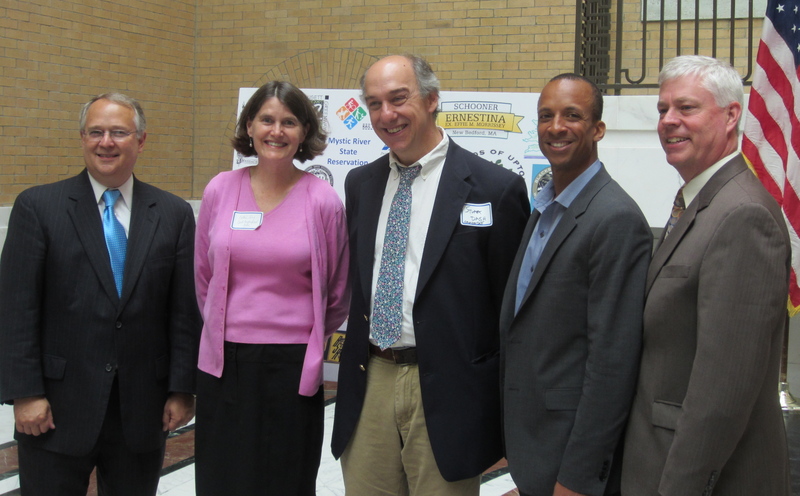 Pictured left to right: DCR Commissioner Edward M. Lambert, Jr., CNA Board Member Cathie Zusy, Cambridge’s Director of Community Planning Stuart Dash, DCR’s Director of Partnerships Conrad Crawford and Energy and Environmental Affairs Secretary Rick Sullivan. DCR’s $50k will match the $25k that the City of Cambridge allocated in September 2011. This money will be spent to commission an historical structure report to guide restoration and interpretative efforts and to begin to fix the roof. Patrice Kish, DCR’s Director of Cultural Resourcees, will oversee the project in partnership with the Cambridgeport Neighborhood Association and the Cambridge Historical Commission. ← Cool Off at Magazine Beach. The Pool Opens Saturday, June 23!